Camp for €18,- a night at Campsite Palme in low season with CampingCard ACSI. 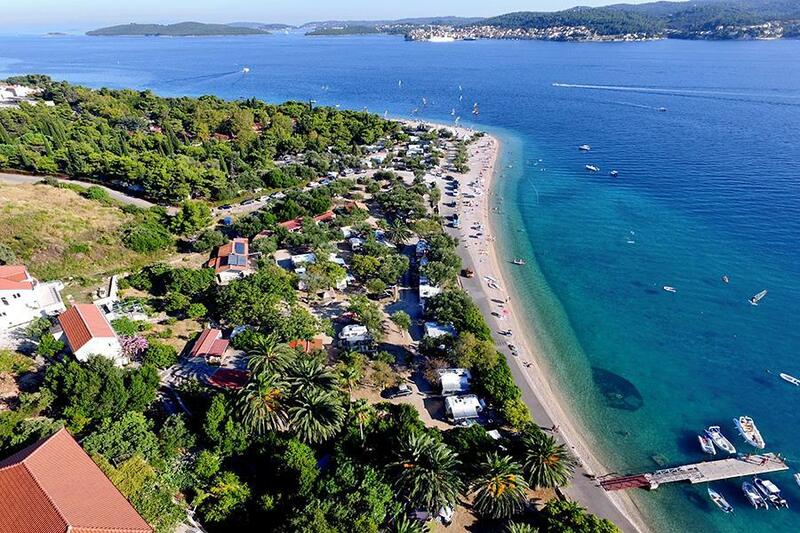 Campsite Palme, located in Kučište (Dubrovnik-Neretva), is a campsite with 122 touring pitches. With your CampingCard ACSI you can camp on one of the pitches during the following periods: 01-01-2019 - 20-06-2019 and 01-09-2019 - 31-12-2019. At this campsite you can not only use your CampingCard ACSI for inexpensive camping, you can also use your ACSI Club ID (as an alternative ID). Lovely private campsite with sunny and shaded pitches close to the sea (50m). Ideal for surfers. What a fantastic spot. Views to die for. We loved it here - so close to the sea but very peaceful too. The local shop was a kilometre away. That must be a Croatian kilometre as it took us over 30 minutes to walk there! It did sell nice ice creams though! Lovely private camp, friendly owners and stuff, almost on the beach with beautiful water, very clean and excellent spot for surfers. Very quiet during night and good starting point for exploring surrounding areas. CampingCard ACSI will send your information request to "Campsite Palme".